Guarantees garage access anytime, providing exterior manual operation of any brand of garage door opener. Allows garage access during power outages and other opener failures. Compatible with a wide range of metal or wood garage doors. Rigorous quality testing ensures lasting performance. Compatible with a wide range of metal or wood garage doors, this convenient option is ideal for vaulted garages with no other entry. 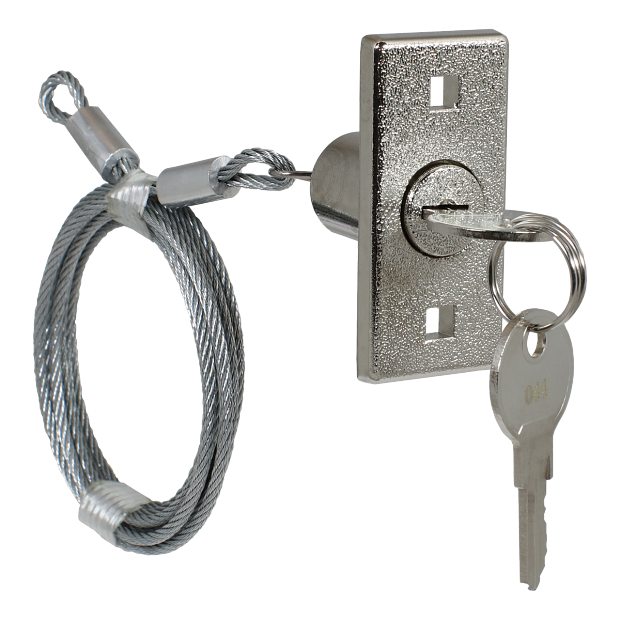 Includes weather-resistant aluminum faceplate, two keys, all necessary mounting hardware and a 6-ft. cable. Highly compatible: Operates with any brand of garage door opener and a wide range of wood or metal doors.